Gus and Kristi Suarez and Alan and Kathy Barnett, all of Holton, are pleased to announce the upcoming marriage of their children, Hanah Jean Suarez and Bryce Thomas Barnett. Hanah is the granddaughter of Bob and Nancy VanDonge of Soldier and the late Gaston and Sarah Suarez of Richmond, Ind., as well as the great-granddaughter of Maxine VanDonge of Holton. Bryce is the grandson of Howard and Crystelle Barnett of Holton and the late Gary and Patricia Kearney of Atchison. Hanah graduated from Holton High School in 2013 and received her bachelor’s degree in nursing from Benedictine College in May 2017. She is employed as a registered nurse at the Stormont-Vail Health NICU in Topeka. Bryce graduated from Holton High School in 2011. He graduated from Benedictine College in May 2015 with a bachelor’s degree in business management. In May 2017, he earned his master’s degree in business administration. He is currently the agriculture loan officer at The Farmers State Bank of Holton and is co-owner of Barnett Angus Ranch. 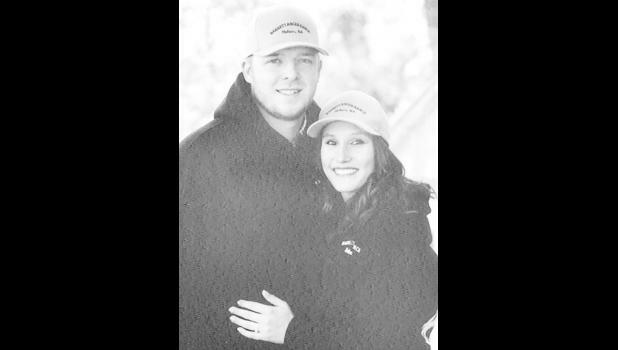 The couple will be married April 28 in Effingham and will make their home in Muscotah.